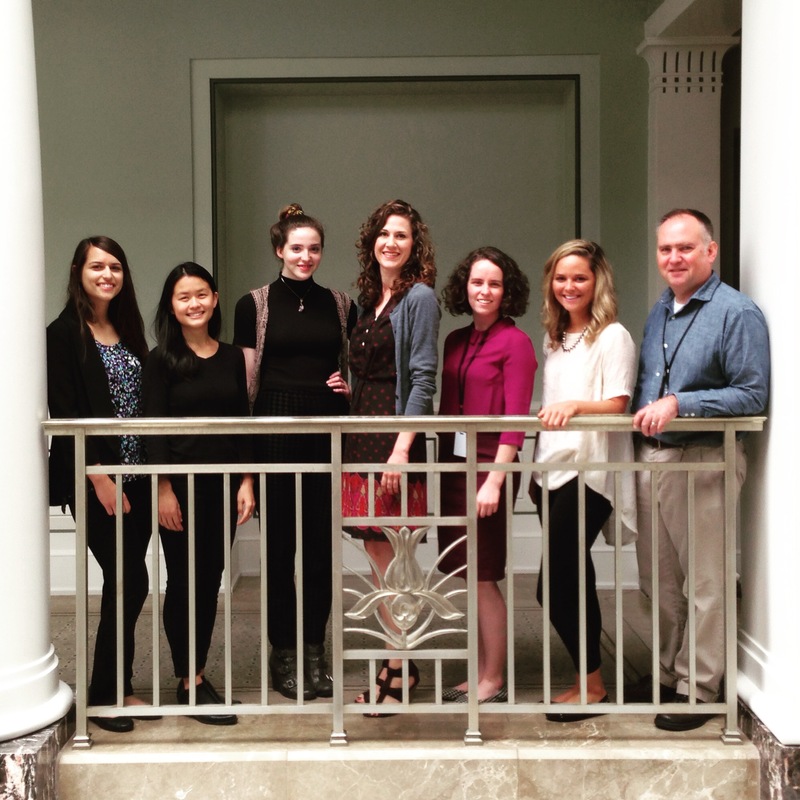 Education department interns started the summer semester in the middle of May, and work varying schedules over the course of the summer depending on other commitments and school calendars. Although the orchestra is now off for eight weeks (July 4 was the final performance of the season), there is a lot of work to be done at the end of the season and through the summer, and our interns have been a tremendous help in accomplishing everything in front of us. 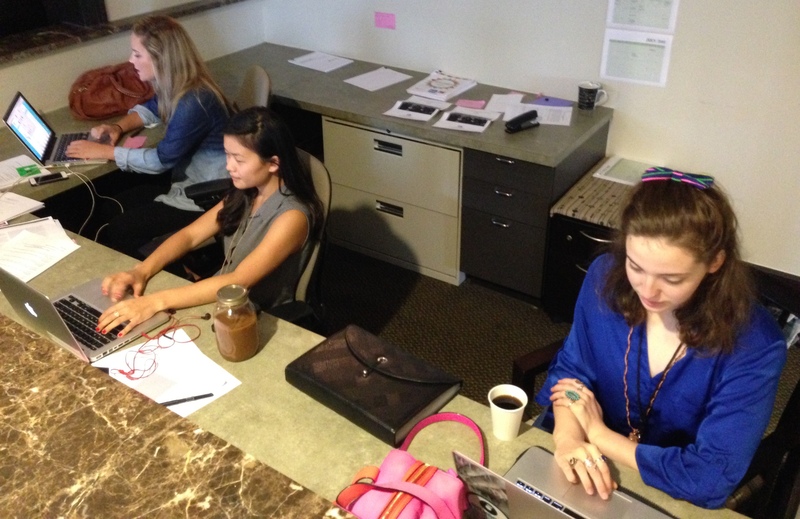 I spent some time with each of our interns over the last week to get their perspectives about the experience. Education interns assisted with the execution of a number of the symphony’s education programs in May including Curb Open Dress Rehearsals, Is It a Fiddle, Or a Violin?, and our annual Side By Side concert with Curb Youth Symphony. 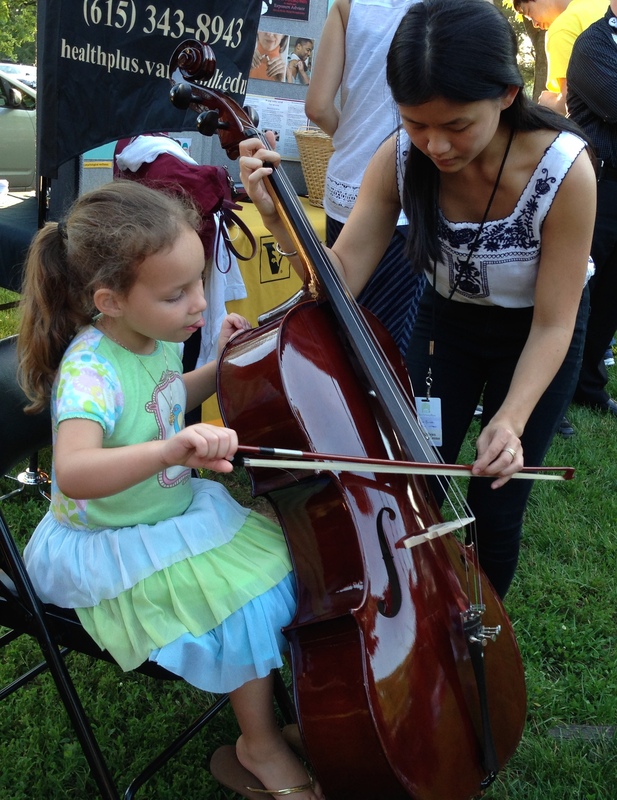 During the month of June, the Nashville Symphony performed community concerts at eight parks throughout Metropolitan Nashville and the surrounding communities. 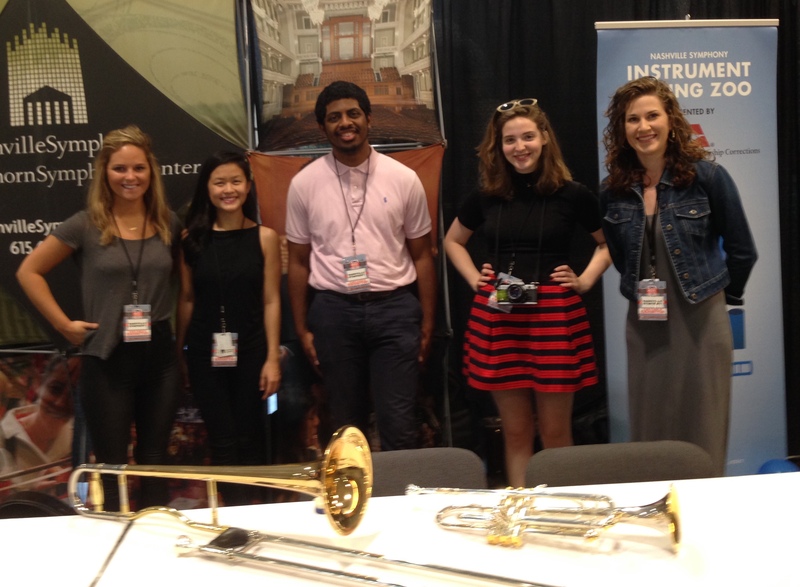 At seven of these concerts, as well as at other locations and events through June and July including day camp programs, Musicians Corner in Centennial Park, and a four day run at the CMA Fan Fair at Music City Center, our interns were the backbone of the team (also including staff and volunteers) that presented Instrument Petting Zoos to attending children and families. 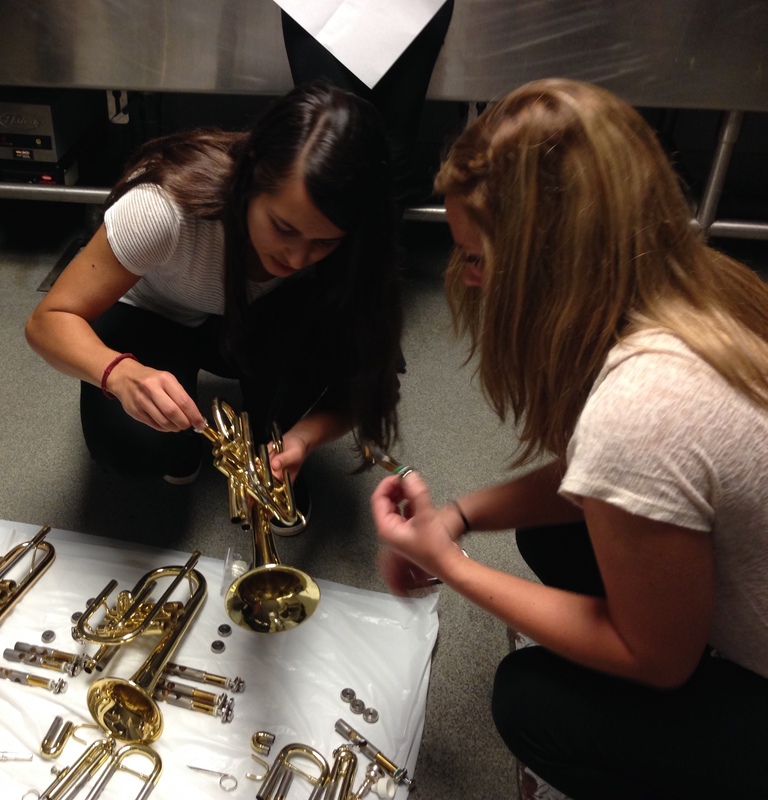 In addition to all the events, all of the Education interns collaborate as a team to produce curriculum guides and lesson plans under the guidance of Education staff for K-12 teachers to use as a supplement with classes attending our Young People’s Concerts during the upcoming season. By walterbitner in Music Education, Nashville Symphony, Nashville Symphony Programs on July 8, 2015 .